With so much controversy surrounding concussions and player safety concerns in the NFL, less and less parents are allowing their children to take part in youth football. Speculations have even arisen that the sport may cease to exist in coming decades due the dangers. Luckily, technology may be able to intervene before this happens, keeping football engrained in American culture. 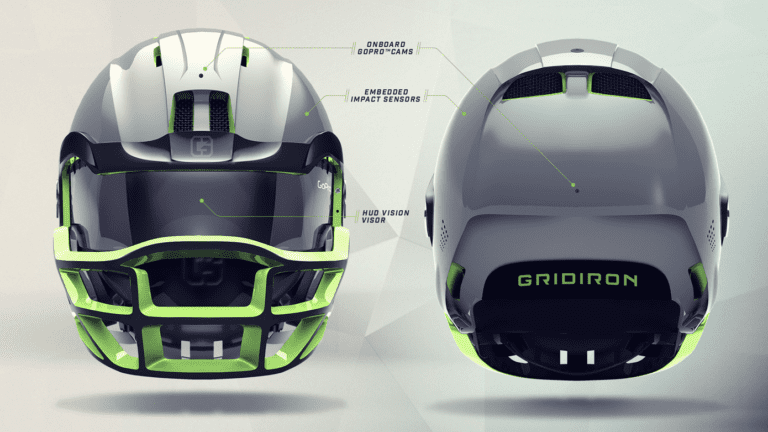 Although it may be a few years away from becoming a reality, the football helmet of the future has the potential to change the game for both players and fans. We’ve already seen Gopros used a bit on individual players, giving fans a first person view of what’s going happening on the field through the players’ eyes. In the near future, the Gopro may become a permanent component of the football helmet on the front and back of every players’ helmet, allowing fans to see instant replays or maybe even live play through the eyes of any player on the field. Second Impact Syndrome occurs when the brain suffers a second concussion before symptoms of a first concussion have subsided. It can be extremely deadly and is difficult for athletic trainers and doctors to spot, especially when players themselves want to keep playing through head injuries. The helmet of tomorrow may be able to eliminate this problem by providing team doctors with live updates on any dangerous head collision that a player may suffer during a game, allowing them to give concussed players medical attention on the spot. 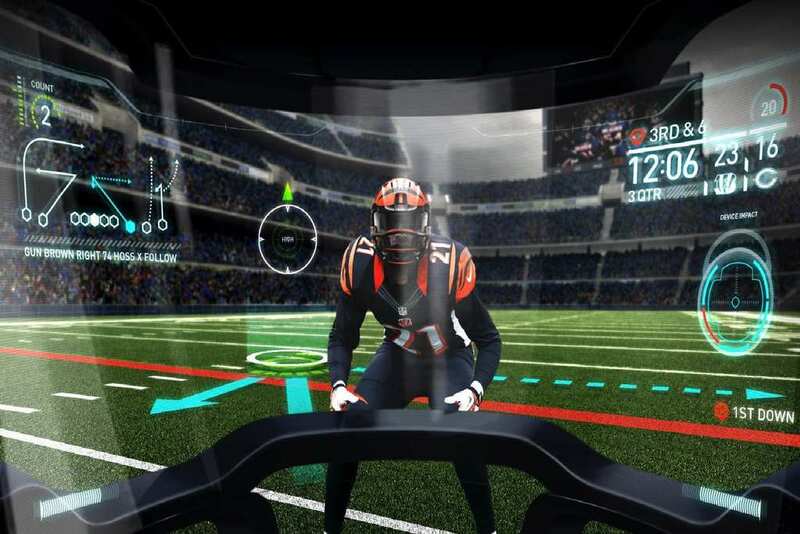 The football helmet of the future will also feature a unique visor which doubles as a computer screen, providing players with up-to-date information on down and distance, personal health levels, play-calls, defensive assignments, routes, and even potential weaknesses in opponents. These futuristic helmets will also be much lighter and stronger than kevlar, and possess the ability to filter out crowd noise. Helmet logos of the future will no longer be plain boring stickers. 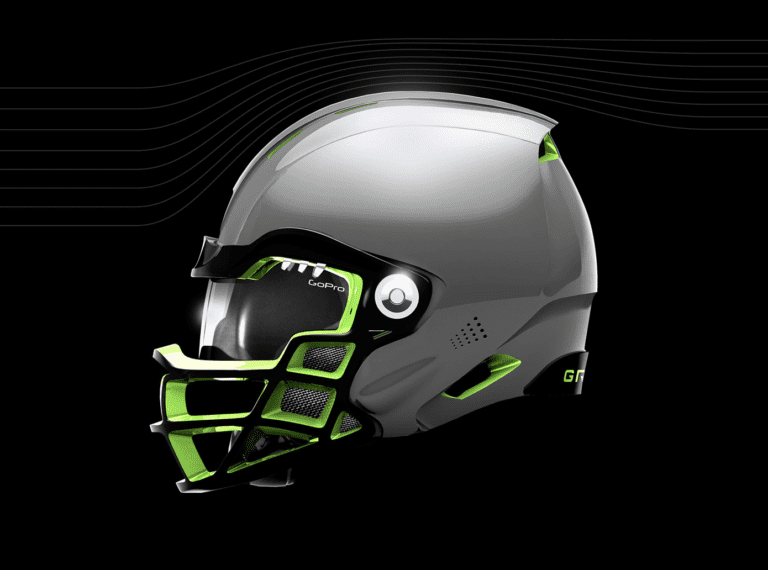 Each helmet’s logo will have a digital display and will be able to react to touchdowns, interceptions, and sacks. 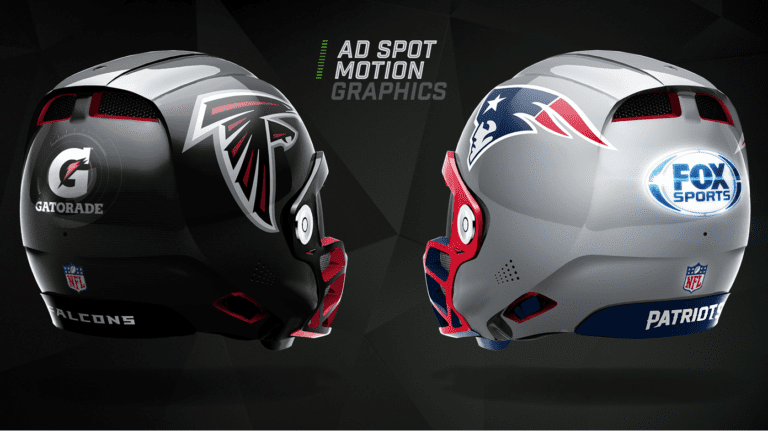 There also exists the potential for motion ads on each helmet, bringing more money into the league. 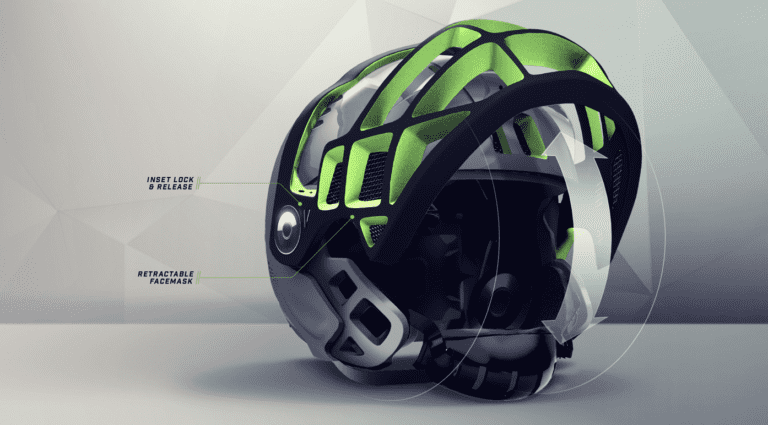 Experts predict that these helmets could be in use as early as 2030, which poses one question. Are you ready for the future?